The concept of Pride and Prejudice illustrated by photos of cats playing human roles struck us as delightfully absurd, precisely because it is so improbable. Cats are, always and incorrigibly, themselves. We cat-lovers understand the joke is on us, but, like Jane Austen, we "dearly love a laugh." 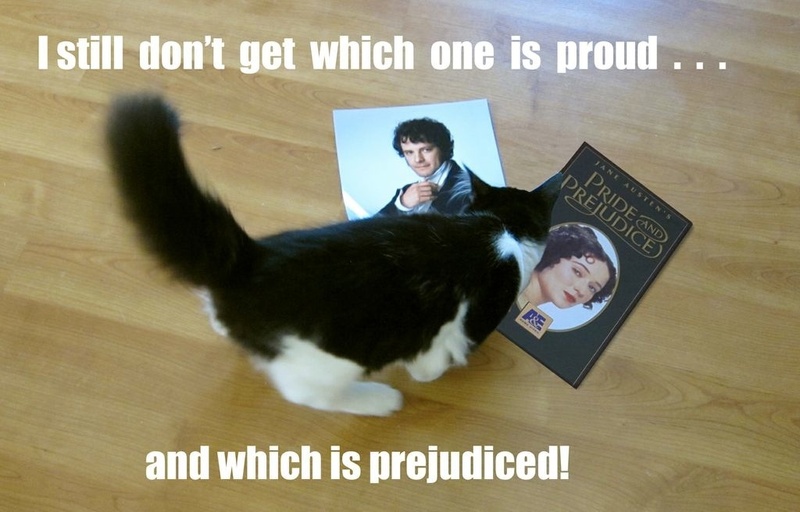 Despite the fact that Jane Austen and cats seemed to be a match made in heaven, it took six years and an undisclosed number of agents before a publisher enthusiastically agreed with us that Pride and Prejudice and Kitties was meant to be - just in time for the Pride and Prejudice bicentennial! So, how exactly did we "kittify" Pride and Prejudice? Many thanks go to Sally Keehn's "English Literature on Location" tour in the UK, during which she photographed Austen-related settings. (She spent much of her tour crawling on floors to capture a cat's perspective.) Kathryn Hathaway's Photoshop skills helped us place our cats in some of Sally's settings. Yes, that photo of Elizabeth throwing up a hairball is on Jane Austen's actual bed. Elizabeth and Darcy were themselves a most unlikely--yet decidedly fated--pair. 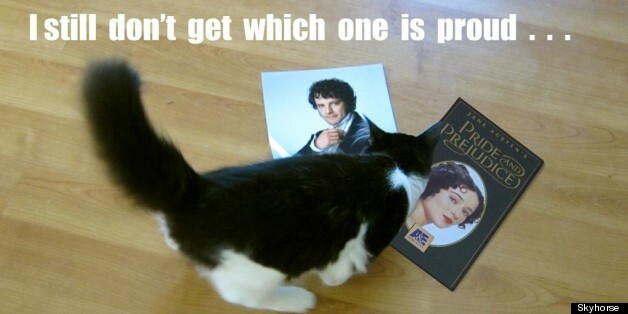 We believe classic literature and kitties should fall in the same category. Here, you'll find some of the pictures featured in our book, which bring new meaning to Austen's most famous scenes. This absurd entrée into Elizabeth, Mr. Darcy, and Lady Catherine's world will surely prompt a smile of recognition from every Austen fan, beginning with our remake of that most famous line: "As every cat knows, a handsome young tom in possession of his own territory must be in want of a mate." We have a team of cats working on this puzzle.